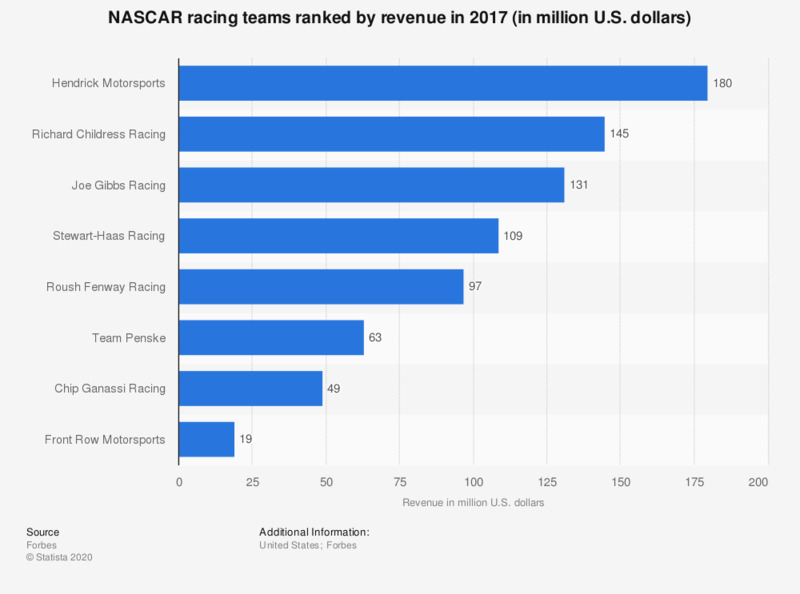 The statistic ranks the racing teams of NASCAR according to revenue in 2017. Hendrick Motorsports generated 180 million U.S. dollars in revenue in 2017. U.S. population: How many cans / bottles / packs of furniture polish have you used in the last 6 months?